This Hanukkah Activities Theme page is all about this Jewish holiday which is celebrated for eight days. This celebration of the Festival of Lights is the time of recalling the miracle in Jerusalem when a small amount of purified oil lasted eight days. This celebration time is one for giving and sharing with others. Some of the symbols of this holiday are the menorah and the dreidel. A Hanukkah Activities Theme for Preschool that includes Hanukkah songs, games and activities! 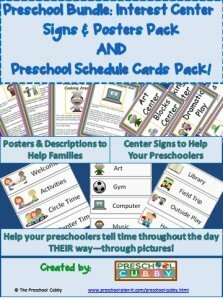 This page includes preschool lesson plans, activities and Interest Learning Center ideas for your Preschool Classroom! Let the Hanukkah Activities Theme planning begin! Materials needed: poster board, birthday candles (9 per child), nuts (as in the kind that go with screws or bolts) to fit candles in (10 per child), craft glue (not school glue) and a hot glue gun. The holder that holds the candles is called the Menorah. There are 9 lights on it, with the middle one called the shammash. This is the helper candle and is a little taller than the others. Each night, the shammash is lit and used to light the other candles. So on day 3 of Hanukkah, 3 candles AND the shammesh are lit that evening. 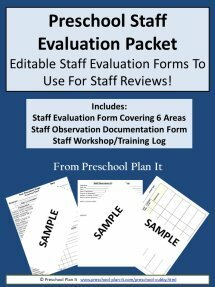 Give each child a strip of poster board or sturdy tag board. Have them print their name on it as best they can. Squeeze a line of glue down the center of the strip. The children place nine nuts next to each other. With a hot glue gun--the teacher or adult glues a second nut on top of the middle one (or the 5th nut in the row). The children squeeze a little glue in the hole of each nut and place a birthday candle in. Have the children print their name on the paper as best they can. The children choose different colors for their fingers (or all the same if they want). Paint their fingers (but not their thumbs). Have them press their hands and fingers side by side on the paper. 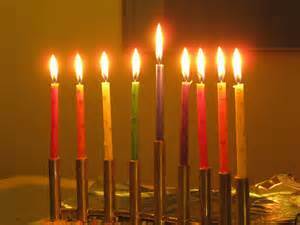 These are the 8 candles of the menorah. Now have them use one finger (or the brush) to make the middle candle, the shammesh. Put aside to dry and direct children to a table that you have placed fingerpaint paper on for them to extend their sensory fun! Materials needed: either 1/2 pint milk containers (one per child) or a small, square gift box with cover (again, 1 per child); construction paper squares, markers, glue sticks, sharpened pencils. If using milk cartons, fold and tape the tops down to make a square. If using boxes, glue the cover in place with a glue gun. Either trace squares on construction paper for the children to cut out (great scissor practice!) or precut the squares. The children decorate each square with markers and crayons. The children glue a square on each side of the carton or box. Insert a sharpened pencil into the box (short pencils) to be the spinner so they can spin it like a top! The children dip the potatoes into the paint to make designs on their papers. VARIATION: If you are so inclined, cut shapes into the potato halves, like a dreidel shape or star of David shape! Have the children trace and cut out 2 triangles from the color of construction paper they choose (or, we provided yellow paper). The children then move the 2 triangles around to make the star. Teach them what the word "invert" means as you tell them to "invert" one star on top of the other. They glue them into place. Provide a picture or poster of a menorah in the block area and at least 8 cylinder shaped blocks or containers wrapped to symbolize candles. Encourage students to build a menorah using a variety of wooden shaped blocks and the "candles" provided. Explain what a menorah is. Choose 9 children to be a live menorah! The child in the middle is the shammesh, the helper candle. He/she stands up tall, with arms in the air. The other children stand next to the shammesh (4 on one side and 4 on the right). Teach them the following poem and act it out. Continue until all children have had a turn. Act out this fingerplay on the day you are making menorahs! I'm a menorah candle (stand and point at self). Growing shorter you can see (slowly squat lower and lower). Melting all my wax (squat down lower). Until there's nothing left to see (sit down). Dredels have Hebrew letters on each of the four sides. The letters mean take nothing; take everything, take half, put one in. Bring some manipulatives to circle as well, such as a collection of marbles, milk caps, beans, etc. Bring several dreidels to circle. Show the children how they work and let them all have turns using them. If your circle time is on a carpet, bring a sturdy box cover for the children to spin them in. Teach them the following fingerplay! I made it out of clay (pretend to be using clay with hands). And when it's dry and ready (flatten hands to pretend to hold it). 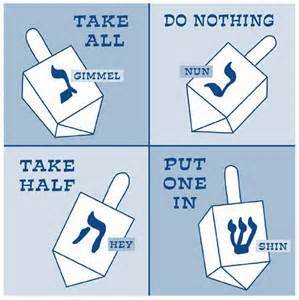 Then with it I will play (pretend to spin the dreidel on the floor). Materials needed: In advance, make 9 candles and a menorah shape for your flannel boards. Teach the children the following fingerplay. Once you've done it a few times together, hand out the flannel candles and have the children place a candle on the flannel board as you all say the poem again. Continue until all the children have had a turn putting a flannel candle on the board. One light, two lights, three lights then four (hold up fingers one at a time). Five lihts, six lights, and then three more. In a golden menorah so bright! Laiden with happiness and tears. Talk about the different seasons and the sun. It is closer in summer, further away in winter, but the sunlight is helpful always. Do this demonstration with them at Circle Time. Pour warm water into the glasses filling each about half way. In one glass, mix in some flour (like a teaspoon). In the second glass, stir in some yeast (stir until dissolved). Then add flour to this glass as well. Tell them, "The yeast is what helps breads and cakes rise, or get higher. But, it needs warmth. Let's warm these glasses by the sun and see what happens to them today." Place the glasses in a warm place by a window. Over the next hour you should see some changes! Cooking with children helps develop their math skills and helps them to learn how to follow directions. It also allows for some great conversation! Ask many questions while cooking with your children to encourage conversation! Be sure to ask specific Hanukkah activities themed questions while making these fun snacks! Beat in honey and egg until combined. In separate bowl, combine dry ingredients. Beat on low until well blended. Cut into shapes (dreidel, menorah, star). This makes about 1 dozen cookies. After cutting out shapes, reroll the scraps left over to make more cookies! Have the children help you will all of these steps! Wash the potatoes with a vegetable brush. Cut the potatoes in half. Help the children grate them on a grater (no, do not peel them!). Mixe the grated potatoes in a large bowl with the egg. Drop by the spoonful into hot cooking oil in a friying pan. Brown on both sides. The are delicious served with applesauce! Provide bows, paper, tape and boxes for the children to wrap presents. Provide a table and all the necessary items to serve a meal including pretend food, tablecloths, cups, plates, etc. Include dress up clothes such as hats, jackets, dresses, shoes etc. Hang up the Hebrew letters from the dreidel on the wall near your easel. Your children can try to create them! Provide large and small brushes! To Help Preschoolers Build Their Muscles While Having Fun Together! Bring a potato to the area. Have the children sit in a circle. Play some music. The children pass the "hot" potato latke around. When the music stops everyone freezes. The child holding the potato yells "Hot Latke!". Continue until all the children have had a turn. Gelt (pronounced with a hard "g" sound) is Yiddish for money. Hide some coins (silver dollars or pieces of large cardboard covered in aluminum foil) around the area for the children to find. When they find one, they bring it back and place it in a bowl and sit and wait for their friends to find one. The children will want to take the Gelt outside to play hide and seek with it at outside time as well! Hanukkah Activities Theme Activities to Help Your Preschoolers Develop Their Math Skills and the Small (Fine) Muscles In Their Hands! In advance, create a menorah shape. Create, cut out and laminate pairs of matching candles. The children can play matching games with the candles. The children can create patterns to place on the menorah. 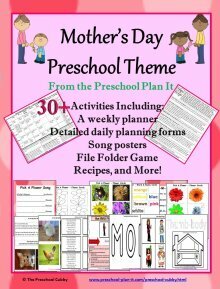 Provide themed puzzles for the children to use (add melissa and doug puzzles or amazon). Create large shapes on poster board to represent the holiday such as a large dreidel, menorah, candle, Star of David, etc. 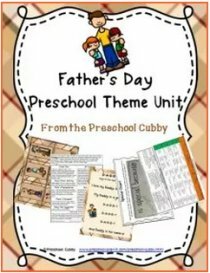 Cut into pieces for the children to put together as puzzles. Hanukkah Activities Theme Music and Movement Activities and Ideas to get your Preschoolers Movin' and Groovin'! Have the children dance and sing to this by spinning along with the speeds in the song. Then on the ground we go! Oil is significant in cooking for the holiday. Have the children pretend to be donuts frying in oil, acting out each part as you sing the following together! I had a little donut (children curl up in a ball). I'm going to take a bit (jump out of the "oil"). Here are some music suggestions. You might be able to find the CD's at the local library. If not, click the links below to see what Amazon has to offer for prices. Hanukkah Activities Theme for Your Sand and Water Table! Spray your sand with water. Provide cups and other items for the children to build a sand temple with. Provide rocks, sticks, etc. for them to build with. Hanukkah Activities Theme Science Activities--for your Preschool Scientists in Training! Pour water about 3/4 way up. Add some vegetable oil to the top to see about a 1 1/2 to 2 inch layer. Add salt, 1/2 teaspoon at a time to the top. The salt drags the oil through the water and then the oil floats back up to the top in large bubbles as the salt dissolved! You could provide pipettes for the children to add the oil with. Needed: clear plastic cups, water, toothpicks, potatoes with tubers on them. The children place toothpicks into the sides of the potatoes (we place 4). Have children print their name on their cup. Place potato in cup so that tootpicks are balancing the potato halfway into the cup. The side of the potato with the tubers growing out of them should be facing inside the cup. Fill the cup with water so that the potato is only half covered with water. Place in your science center. The children should add water as it evaporates of the next week or so. Observe as the roots grow and leaves start to sprout! Keep a journal or take pictures to see the changes! Provide flashlights and holiday shapes (dreidel shape, menorah shape, star of David shape) cut out of cardboard and glued onto craft sticks. The children flash the light onto the shapes to see their shadows on the wall. Provide different items for the children to experiment with. Water, liquid soap, juice, milk, vegetable oil, etc. Writing Activity Ideas for Your Hanukkah Activities Theme! 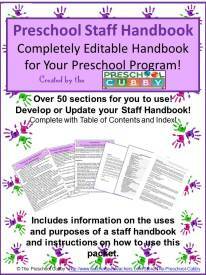 Provide magazines, scissors, glue sticks and paper. Have the children print their names on the paper. Have them find and cut out canned goods from the magazines and glue onto the paper. These papers will be the flyers that you will send home for the donation idea below under "Miscellaneous". Have the children write a note to their parents about what they are doing with the donations. 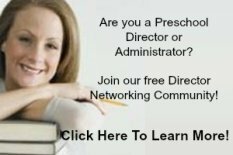 Help your preschoolers to help others. Use the letters the children make in the Writing Center activity to either sent home or hang in your school. Take up a collection of items needed by your local food bank to help others. EXTENSION: Before donating the items, have the children help you to count the items, sort them by food type and talk about how these items will be helpful to others.